DERE EVIL EXE has been nominated in the 15th International Mobile Gaming Awards (IMGA Global). The IMGA is the longest standing and highest regarded mobile games award program started in 2004. “Nominees like DERE EVIL EXE highlight the new standard of creativity and the emerging quality of the productions found in mobile gaming”, said Maarten Noyons, founder of the IMGA. 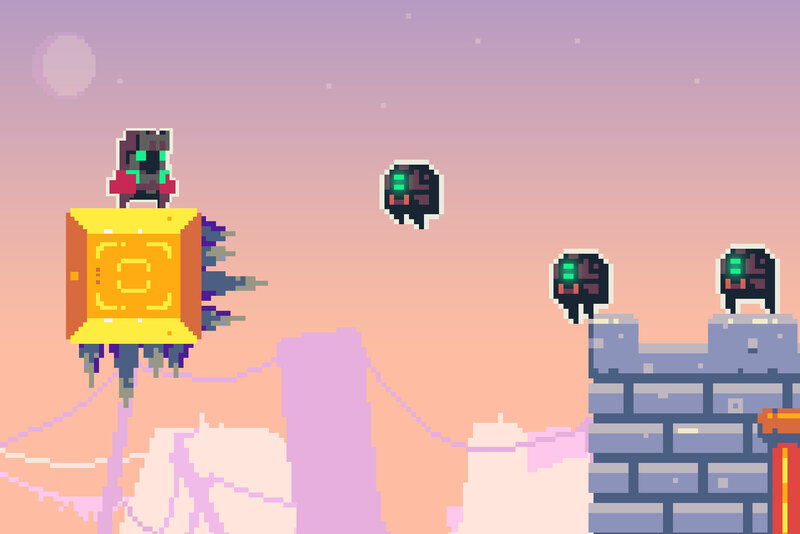 DERE EVIL EXE is a celebration of the creative freedom that indie game developers have. 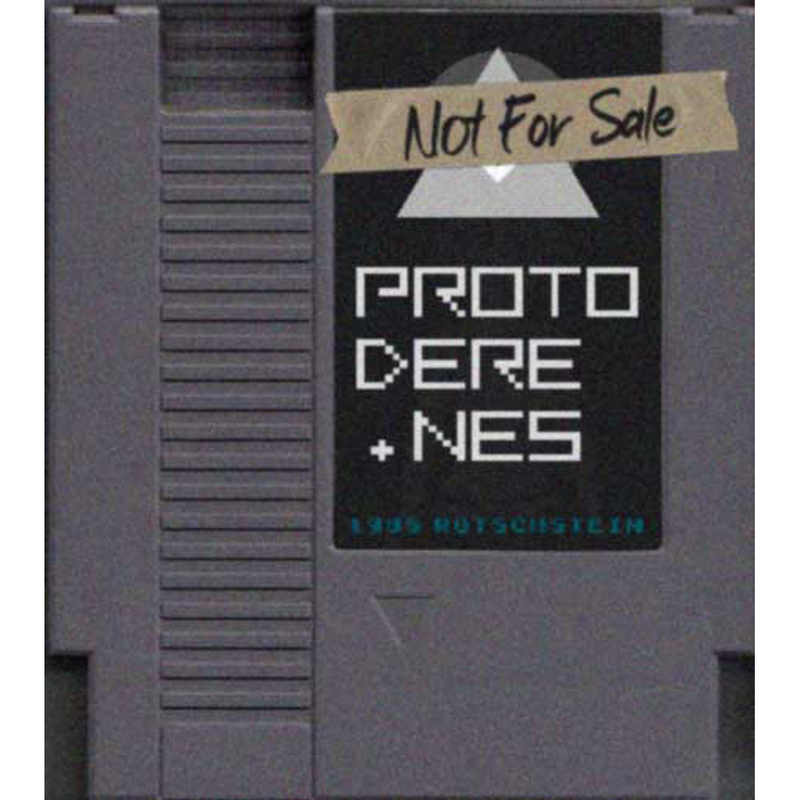 It is an original marriage of multiple genres and caters to fans of platforming, single player adventures, meta storytelling, visual novels, and horror games. The story is inspired from a young gamer’s fears; a game about playing something you aren't supposed to. The story was crafted to reflect the kind of horror people pass on, the kind of story gamers will tell each other while camping late at night while waiting for the monsters to spawn. People connect with the game. Be it because of the nostalgia, the level of trolling, or that unshakable feeling of dread in your childhood as you figure out how electronic glitches happen. This, coupled with its unique take on platformer puzzles, the ever evolving gameplay as the levels progress, and the innovative take on meta storytelling, makes for a Grand Prix award-worthy experience players won't soon forget. As a nominee, DERE EVIL EXE is also eligible to win the People's Choice Award, which is voted online by fans across the globe. 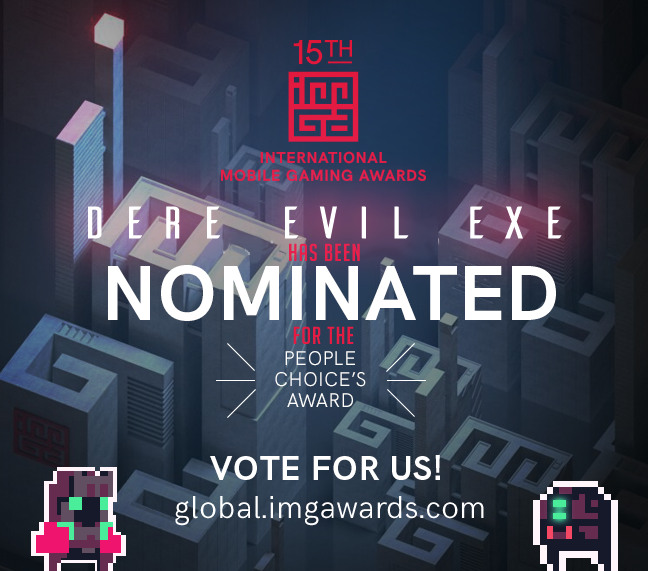 From now until March 14th, 2019 DERE EVIL EXE fans and gamers can cast their votes at https://www.imgawards.com/games/dere-evil-exe/. Winners will be announced on March 19th, 2019 during the highly anticipated IMGA ceremony, which will take place at the Minna Gallery in San Francisco.